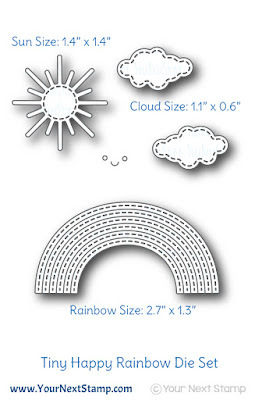 You are going to be blown away with the fun creations you can come up with using these fun new products. 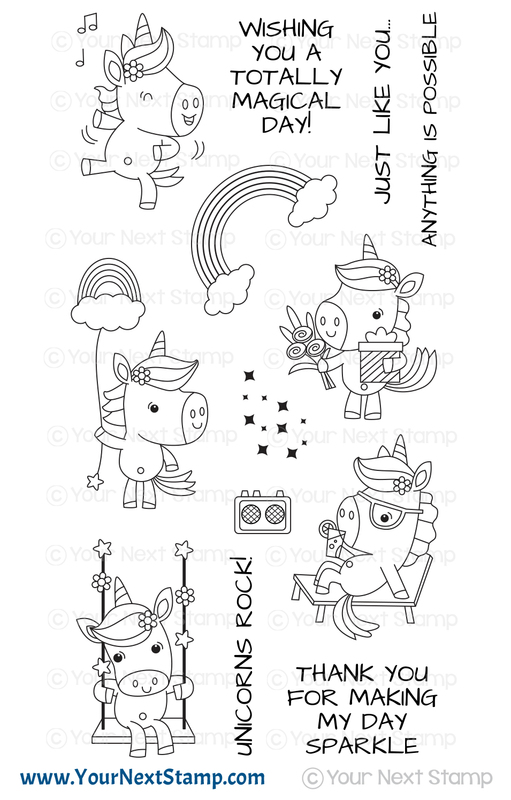 These Unicorns are the cutest I have EVER seen and I am in love with the new Photo Booth products. SQUEE. 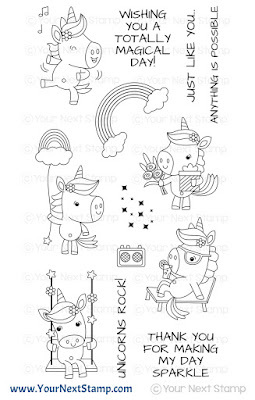 I have seen Unicorn stamps and this new set is my FAVORITE. I made a circle using the Tiny Happy Rainbow Set and colored my rainbow with Copics. 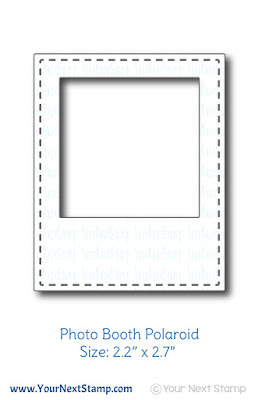 Oh my gosh this new Photo Booth stamp set is genius. I combined it with the new Photo Booth Polaroid die. That unicorn set is a must have! I love your designs! That unicorn just makes me smile! Love it! These are both so fun, Lisa! What a clever way to make your rainbow and the Photo Booth set is just hilarious! This unicorn set is definitely my favorites! It is too fun and this card is just superb! Both of your cards are absolutely brilliant! Such a cool way to use the two rainbows around the unicorn, using the clouds to hide the joins....genius. And your animal selfies couldn't be any cuter!! Your cards are sooo cute!!!! Seriously? A unicorn lying on a lounge chair enjoying a little drink, what's not to love! I love the pretty rainbow you made into a circle. And that unicorn is really funny. Great card! What a cute unicorn set! Great cards! I love the "Photo Booth" set. Love your work! Hi Lisa!! Both cards are beautiful and cheerful, they made me smile. 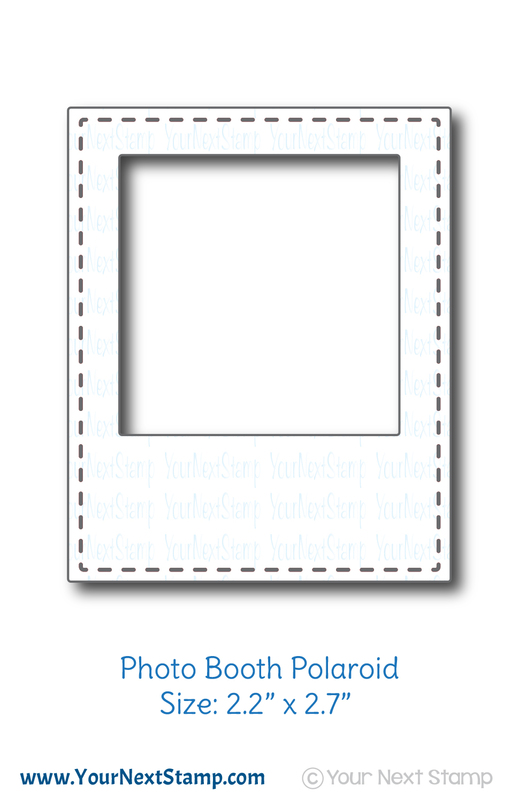 I'm loving the Photo Booth stamp set and Photo Booth Polaroid die. Thanks for the inspiration. Hugs, Raquel!! Okay, the Photo Booth set totally cracks me up and I've got it bookmarked. Too funny! Your cards are both fantastic! Funniest unicorn card I've ever seen, too. Love the rainbow circle! 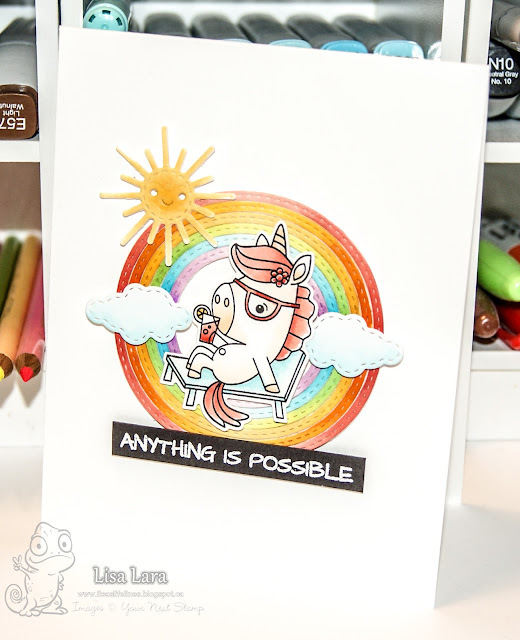 This is so fun...love the cute polaroids and how you created the rainbow circle on the unicorn card. So cute!! Unicorns Rock and Photo Booth are my favorites from this release. Using the rainbow die for your circle is very creative. Such cute cards. Great release. I love both of your cards but the Photo Booth ones is just too cute!!! Adorable cards! Love the rainbow and the Photo Booth cards!! Awesome cards! Love the rainbow! Omg I want it all!!! Both cards are adorable, Lisa. I just love these! I have to say though, that photo booth one is my favorite of the two! TFS! 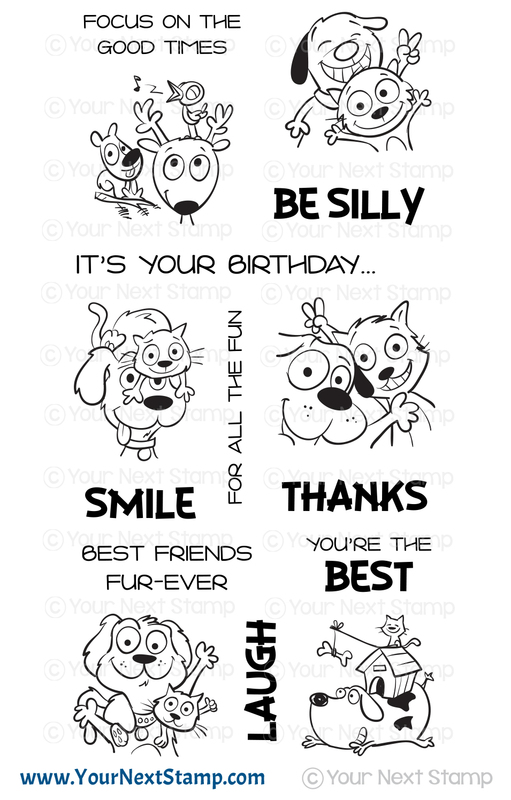 Ohhh I love the new stamps, your cards are fab! I need that unicorn for my SIL!! I LOVE the unicorn one! Love rainbows! 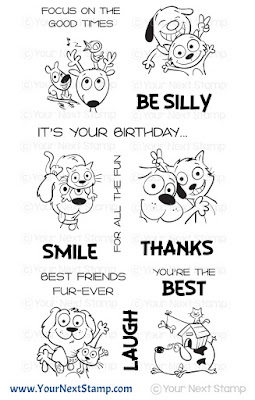 And great simple card with the pets! I think your cards are so much fun! The lounging unicorn makes me laugh! Magical and adorable cards :) Love them both! 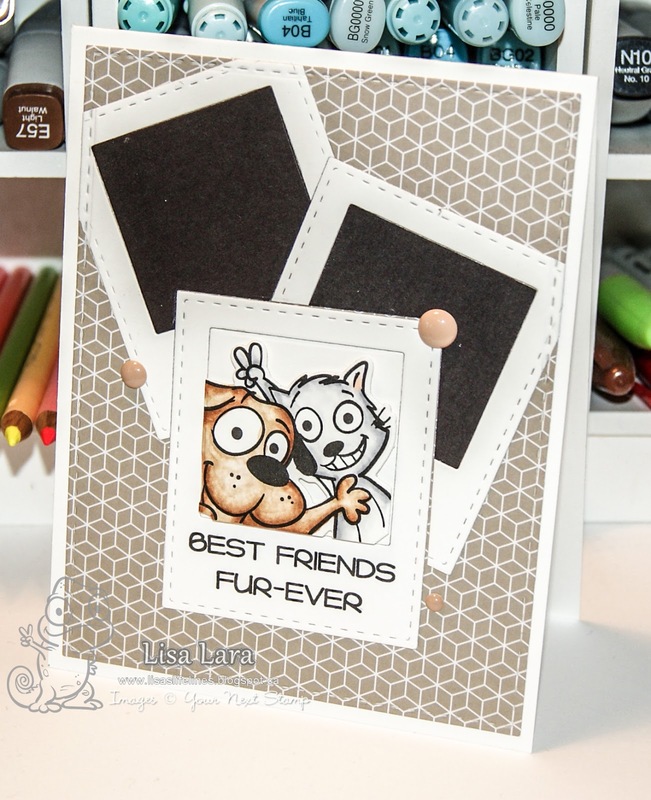 Fabulous cards, great designs and love the cute images and beautiful colouring. All I can say is WOW! You did an awesome job!! Cute cards. Love the rainbow circle. Super cute cards. It just love these two stamp sets- they are so fun! Thanks for sharing! Great cards!!! Loving the paper pack.. and the new stamps... Adorable!! Awww!!! How cute and fun!!! 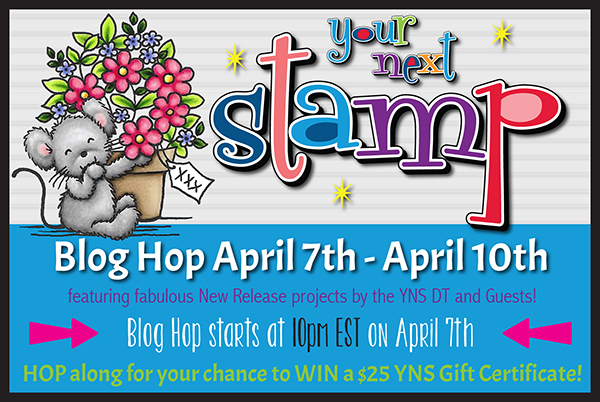 Love your sweet cards!!! Oh my ! That’s such a cute set of cards ! You made your circles out of rainbows? Of course you did - cuz you're a pro at thinking outside the box. Both cards are awesome and the photo booth is SWEET.